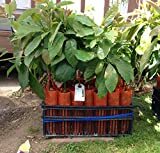 Avocado tree for sale – before buying an avocado tree, you must consider that this plant grows in a frost free environment. Spring is the best time to look for an avocado tree for sale. It is also good to know that there are two varieties of avocado: Variety A is the species whose female flowers bloom in the morning and male blooms in the evening while variety B has male blooming in the morning and female flowers at night. Also known as “alligator pear”, Avocado tree is a perennial evergreen that can grow in the tropics, Mediterranean or subtropical climate. It has green glossy leaves in ovate shape and flowers that begins its life as female then ending as a male flower. The female flower blooms for several hours, after a day the male flower will open and the female one loses function. Plant in a non-lawn area and away from sidewalks. The best time to plant is during the spring, summer is not recommended because there is a risk for sun damage. An avocado plant can’t take up water well when it is young. It is also not advisable to grow an avocado tree in a pot. Check the soil’s pH. Avocados do well in soil with pH of around 6-7. If you are living in an area with heavy clay soil, you may elevate the tree in a mound for better drainage. Dig a hole that is as deep as the current root ball. The avocado is a shallow-rooted tree with a very sensitive root system. Take extra care not to disturb its roots while transplanting. 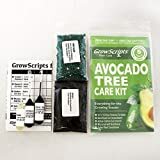 Full sun is required to grow a healthy avocado tree. Make sure you plant it in an area with enough sunlight and away from strong winds. 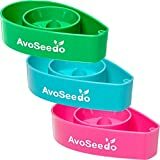 As a medium grower, it needs to be watered at least 2-3 times a week with average to big amounts. A matured avocado tree will need about 20 gallons of water a day during the irrigation season. Fertilize young avocado trees with1/2 -1 pound of actual Nitrogen per tree per year. Another important nutrient for avocado trees is Zinc thus ordinary home fertilizer for houseplants will do. An avocado tree typically produces about one million flowers, but only 100-200 pieces of fruit per tree. Sometimes the tree will set fruit but drop them when they are pea to walnut size. This is called “fruit drop” and is typical to avocado trees. Avocado is a year-round fruit bearing tree. You may pick up the fruit in advanced and let it ripen at your home. Pruning should be done after the fruiting season. Remove dead branches and those that start to grow upside. Your avocado tree usually reaches 5-20 meters in height. If there are too many birds in your area, you may cover your tree with net to protect the fruits.